Bushnell has some of the highest standards and technology in the industry when it comes to the manufacture of cellular trail and game cameras. With the Trophy Cam HD Aggressor 14MP Wireless Trail Camera, Bushnell continues to dominate the market by being the leader rather than the follower. With this mid-priced high quality camera, Bushnell ensure that even the smallest feature is useful and not just a random gimmick. The Trophy Cam HD Aggressor 14MP Wireless Trail Camera has received rave reviews from game enthusiasts all over the world, so you can bet that this is one trail camera that is not going to disappoint you. Read on to find out what makes it one of the best cellular trail cameras available in the market. Click Here to See Our List of the 5 Best Cellular Trail Cameras. The Trophy Cam HD Aggressor 14MP Wireless Trail Camera has a well-designed and solidly built case. 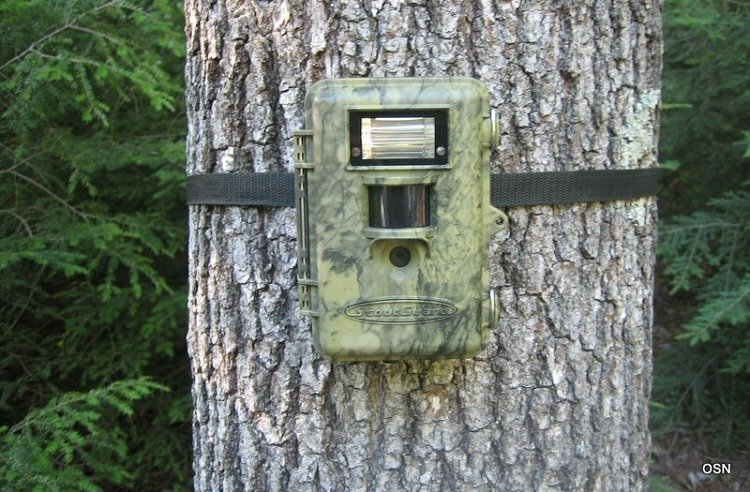 Like the other trail cameras in the Trophy Cam Aggressor series, this camera has the same aggressive and rugged design. While it is significantly larger than previous models, it still fits comfortably in the hand. It comes with an improved latch that can be easily manipulated, even with cold fingers. Since the trail camera is built for outdoor use, the case is weatherproof as always. Loading batteries on this model is easier compared to previous Aggressor cameras, though you will still require a screw driver or long fingernails to remove batteries. The Trophy Cam HD Aggressor 14MP Wireless Trail Camera also comes with a redesigned clasp with a spring-loaded mechanism. The new clasp design is extremely sturdy, looks rust-proof and makes it quite easy to strap up the camera without the risk of slipping. The Trophy Cam HD Aggressor 14MP Wireless Trail Camera is one of the fastest trail cameras available on the market. It has a trigger speed of 0.2 seconds, allowing the camera to capture three photos in quick succession in under a second. This results in a collection of freeze-frame style motion photos. This also means that the camera is able to pick up even the fastest of animals. As with all trail cameras, the trigger speed for videos is a little bit slower. One of the most outstanding features on the Trophy Cam HD Aggressor is the image quality. The camera comes with an impressive 14MP camera that allows it to capture extremely high quality photos and videos, which by far surpass the expectations of other trail cameras in the same category. Other similarly priced trail cameras offer around 8MP, resulting in a glaring difference in image quality. The high image resolution coupled with the unbelievable trigger speed allow this camera to capture excellent photos of fast moving animals, including birds in flight. The camera comfortably handles different light conditions. During the day, it produces photos that have excellent color, depth and clarity. However, those who purchased the camera much earlier noticed that dusk and dawn photos were a little under-exposed. Luckily, Bushnell released a firmware upgrade to resolve the issue, so it’s a problem you are unlikely to face. The Trophy Cam HD Aggressor 14MP Wireless Trail Camera captures exceptionally high quality videos. It records widescreen full HD video at 1080p. This means that the videos are vividly clear and can be viewed even on larger screens or television without loss of quality or details. The 48 no glow LEDs deliver a high quality of night time video footage. It is good to note that videos require more memory than photographs. Videos will take up about 2MB of memory for every second of recording and willtherefore fill the SD card much faster. It is recommended that you choose video mode only if you will frequently download the videos from the trail camera. The detection zone is the area in front of the camera where any movement and change in ambient heat will trigger the camera to take a photo or record video. It’s important to consider the size and depth of the detection zone when you are positioning your camera. The Trophy Cam HD Aggressor 14MP Wireless Trail Camera has a detection range of a staggering 100 feet. This beats other cameras by far and is more than enough for daytime monitoring. However, the camera won’t be as effective at night, since the no glow LEDs have a range of about 50 feet. This means that while the camera might detect an animal that is 100 feet out, you will get a blank image because the flash from the no glow LEDs can’t reach the animal. The detection on the Trophy Cam HD Aggressor 14MP Wireless Trail Camera is also highly sensitive. If you set the sensitivity to ‘Auto’, you might get a lot of blank photos triggered by a combination of wind and patchy sunlight. To avoid this, it is recommended that you turn down the sensitivity to ‘Normal’. All the same, it is better to have extremely high sensitivity that you can turn down as needed than to have extremely low sensitivity that misses the game altogether. 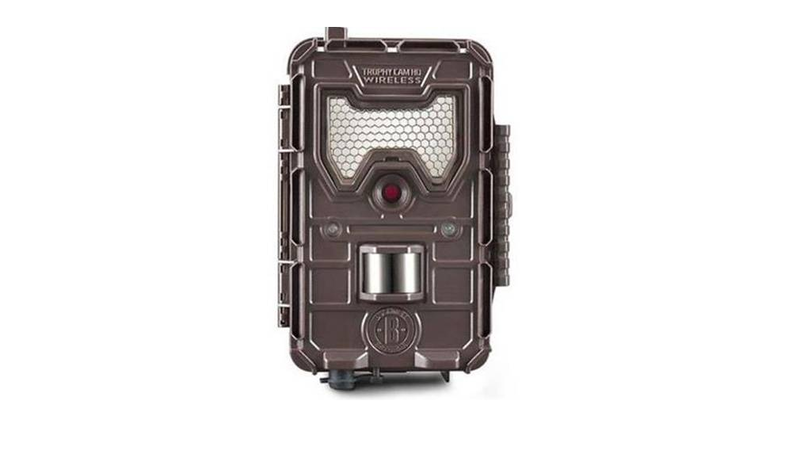 The Trophy Cam HD Aggressor 14MP Wireless Trail Camera uses 8 AA lithium ion batteries, which will power the camera for about 12 months in a situation where the camera is not triggered often. If the camera is frequently triggered and set to photo mode, it will still manage about 6-8 months. Video will use up more power, especially at night when the LEDs are on. The excellent trigger speed means it will capture everything at the right moment. The 14MP camera provides great picture and video quality. Programming and setup is quite easy. It has a long detection range. 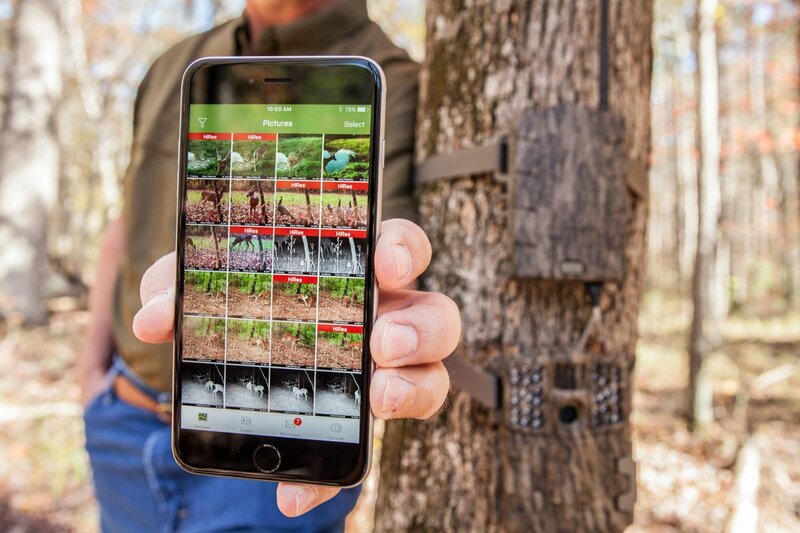 The only disadvantage with the Trophy Cam HD Aggressor 14MP Wireless Trail Camera is that it needs 4 or more bars of reception for it to transmit photos to the owner’s cellphone or email. The Trophy Cam HD Aggressor 14MP Wireless Trail Camera is a high quality trap camera with a set of useful and impressive features at a reasonable price. This review has given an insight into the features that make it one of the top trail camera choices. Once again, Bushnell has pushed the envelope with the Trophy Cam HD Aggressor 14MP Wireless Trail Camera, ensuring you will never miss a thing again.